Voile believes in equal opportunity skiing. Therefore, it’s no surprise that a female-specific version of the Wasatch Speed Project has come to fruition. Although the prototypes were pink, we applaud the decision to make the production WSG green. Either way, female racers no longer have to drag an extra 10cm of ski up the hill, but still can enjoy the Vector-style rockered profile on the down. Voile describes the Wasatch Speed Girl as an “all-out war machine”, so join your local skimo army and go to war. 150cm length is the minimum allowed for females by the ISMF for skimo races. 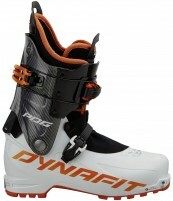 Rockered tip lets you ski with relative confidence on diminutive skis. Paulownia wood core with carbon & fiberglass laminates are durable and light. Built in the USA using Voile’s renowned “simple, solid” construction.